hooray for the first comic of 2008! In case you missed it there was a pretend-new-comic yesterday for christmas. 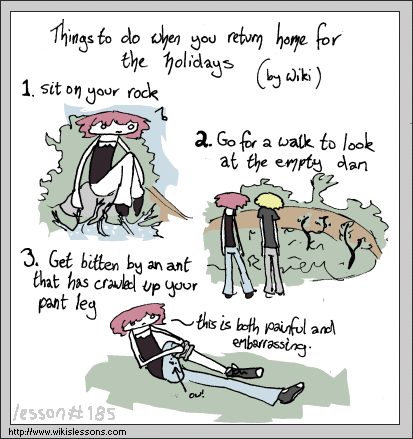 I think that ants crawl up my jeans and bite me on the leg, far more often than they do to anyone else. One time a wasp actually found its way up my pant leg and stung me just above my knee. It was an unlikely and horrifying event.